It was a beautifully calm, unexpectedly warm day when I strolled down to Concorde 2 in Brighton. I had visited the venue various times before, however never during the day. Situated not ten steps away from the beach; it holds a unique charm that attracts some of the biggest names in the music industry. 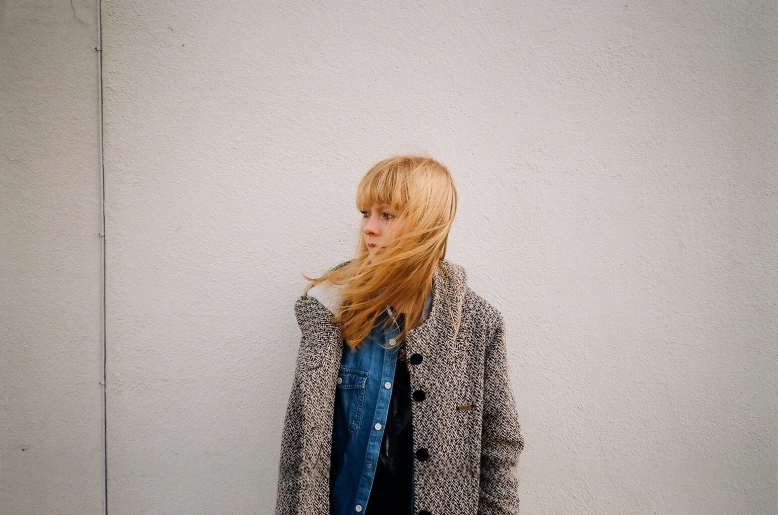 As I got nearer I could hear the faint sounds of a guitar playing and the unmistakable voice of Lucy Rose. I was led in to where Lucy and her band were carrying out sound-checks in preparation for the gig that evening. The room was flooded with a kaleidoscope of colour. The sunlight streamed in through the stained glass windows, contrasting the strobes of neon light that flashed around the room. Brighton was the seventh city out of eighteen that Lucy would visit on her tour. I couldn’t help but admire her un-wavering determination to make sure that every verse of every song was set up to sound and look its very best. As I waited patiently in an adjoining room, I could hear the band leaving the stage. Suddenly Lucy entered the room and greeted me warmly. I guess you could say I was a late-comer to Lucy’s music. I first heard early last year and fell head over heels for the poignant honesty of ‘Shiver’. That song had me hooked and I have immensely enjoyed exploring her other music. I knew that Lucy had a tight schedule and so I was very grateful that she had taken time to talk to me. Although this was the case, there was no sign of rush; the atmosphere was perfectly relaxed – exactly what you wouldn’t expect four hours before a gig, but a quality that depicted Lucy perfectly. The alternate option to music was to study something quite different: “I had a place at UCL to study geography.” Judging by Lucy’s extraordinary career, I playfully asked whether that place had been difficult to turn down. Lucy laughed and shook her head; music was clearly the only direction she wanted to go in. It’s clear to see these influences when you listen to Lucy’s music, with her delicate and powerful vocals and emotive lyrics, something that fans have picked up on and part of the reason they hold so much affection for her. I could relate to that kind of response, as a few of her songs, especially the hauntingly beautiful ‘Shiver’, had such a phenomenal impact on me. Lucy has an incredible talent of being able to evoke raw emotion through her songs and connect with you in such a personal way. It’s credit to the hard work put into those three years between albums, when she could have easily just moved straight on to the next one, that people are still talking about the first record. I agree with the logic that if you put that much effort and love into an album, you should definitely spend the time getting it out there and talked about. Lucy posted a link to the official video for ‘Our Eyes’ the day before our interview. The video is quite different to any of her others and features Lucy covered in various foods in order tp attract particular animals. A particular highlight is when Lucy wears a suit made entirely of sausages and dog biscuits in order to entice two large Alsatians. In another she wears a suit made of chips to attract a large group of seagulls. We both started laughing at the thought of her wearing a suit of sausages and dog biscuits trying to coax dogs to run after her. The great thing about Lucy’s videos is that they’re not overworked; the innocence and playfulness of them really comes through, contrasting many music videos made by big-name artists nowadays. She puts it down to a great rapport between her and the director. The music industry is particularly cutthroat, singers are catapult to success from nowhere, only to be forgotten after their next record. In this industry flashy gimmicks and publicity stunts are used to disguise a lack of aptitude. 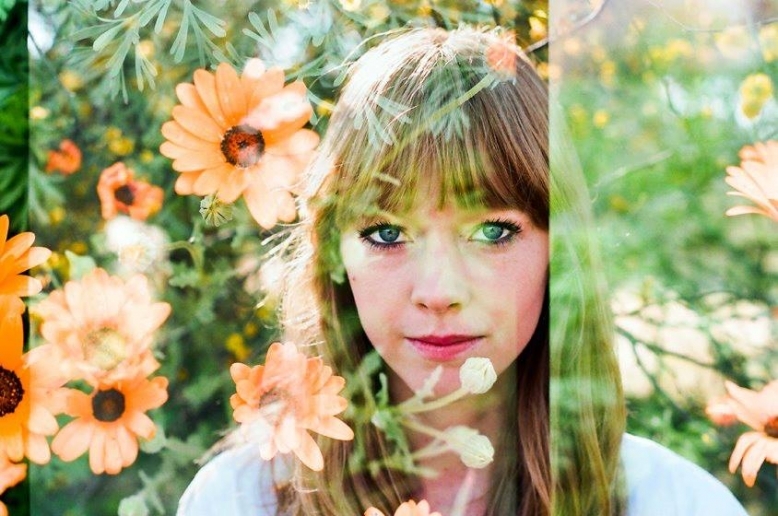 This is quite the opposite for Lucy Rose, her raw and unadulterated talent shines through like the sun through clouds. Her music is extraordinary, it’s frankness is a real breath of fresh air. I have no doubt that Lucy will continue to achieve phenomenal success, she is the gold glitter in a sea of grey. Lucy continues her UK tour until 30th March. Lucy’s new album ‘Work It Out’ is to be released on 13th July. Pre-order the new single ‘Our Eyes’ from iTunes – officially released 26th April.